Apple will have to pay up to 13 million EUR in back taxes as the European commission rules that the company has been avoiding paying tax on its EU sales. 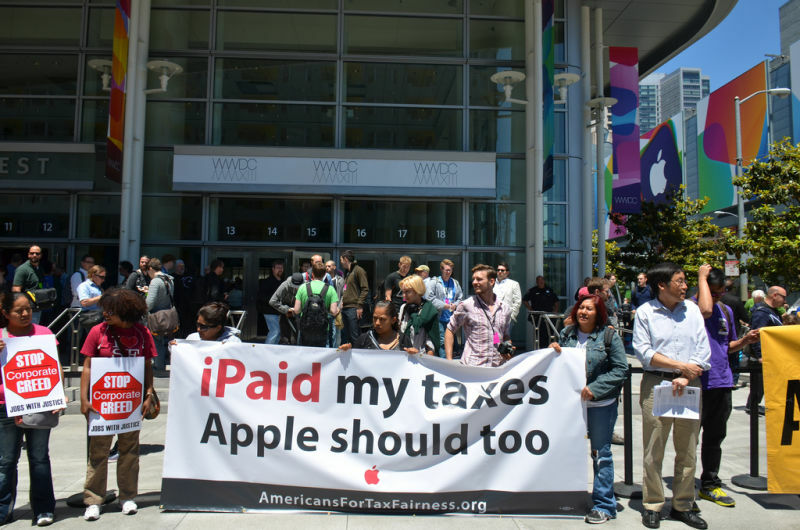 By creating a head office in Ireland that only existed on paper, Apple was able to create an arrangement with Irish tax authorities that has been deems illegal state aid. But this shouldn’t be news: we’ve known this is going on for years. The big news here is that protest over tax avoidance has been successful. People power has brought big business to justice. Writing for the Guardian, Owen Jones says this is a big moment for the protestor. And that’s not all: the Transatlantic Trade Investment Partnership between the EU and US, another hot-button issue for protestors who want to prevent big business from being able to sue governments, has „de facto failed“, according to Angela Merkel this week. It wasn’t so many years ago that people asked whether Occupy Wall Street protestors should be taken seriously, but these two successes this week show that protestors have the power to fight injustice and win.